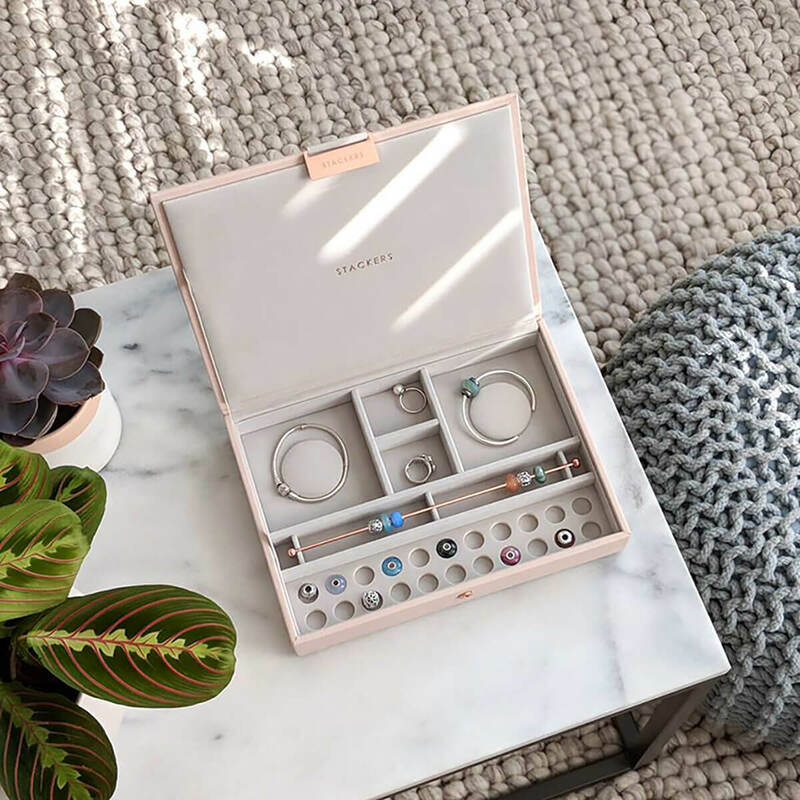 Whether your celebrating your mother, grandmother, step mother or any other strong female role models in your life, we wanted to get together a collection of gifts that would suit each one. 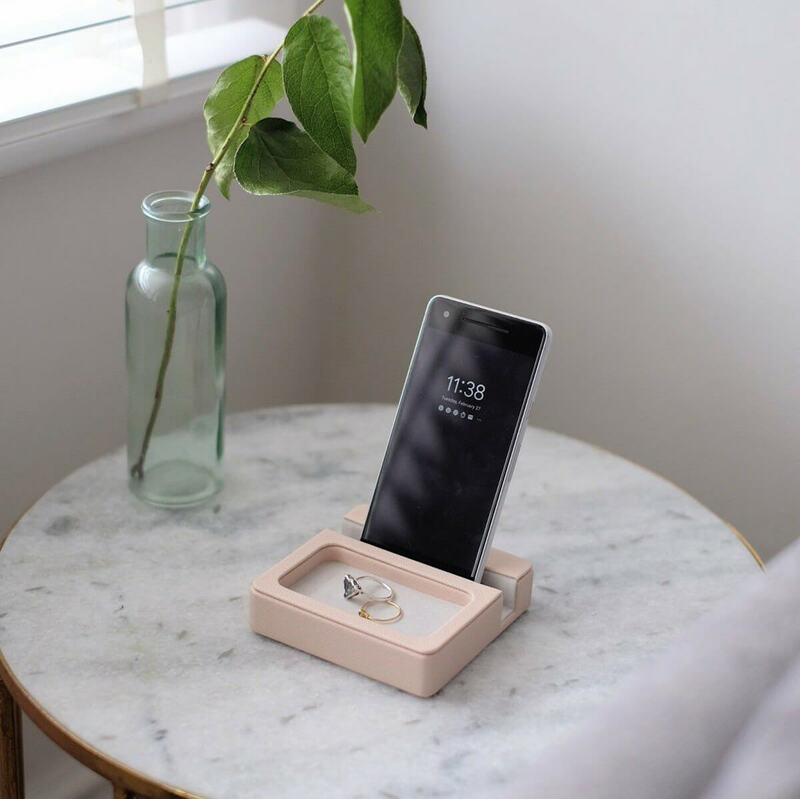 To start with we wanted to let you know that we are offering a couple of mothers day special offers; firstly we are giving you 20% off anything from the Dove Grey and Coral collection. 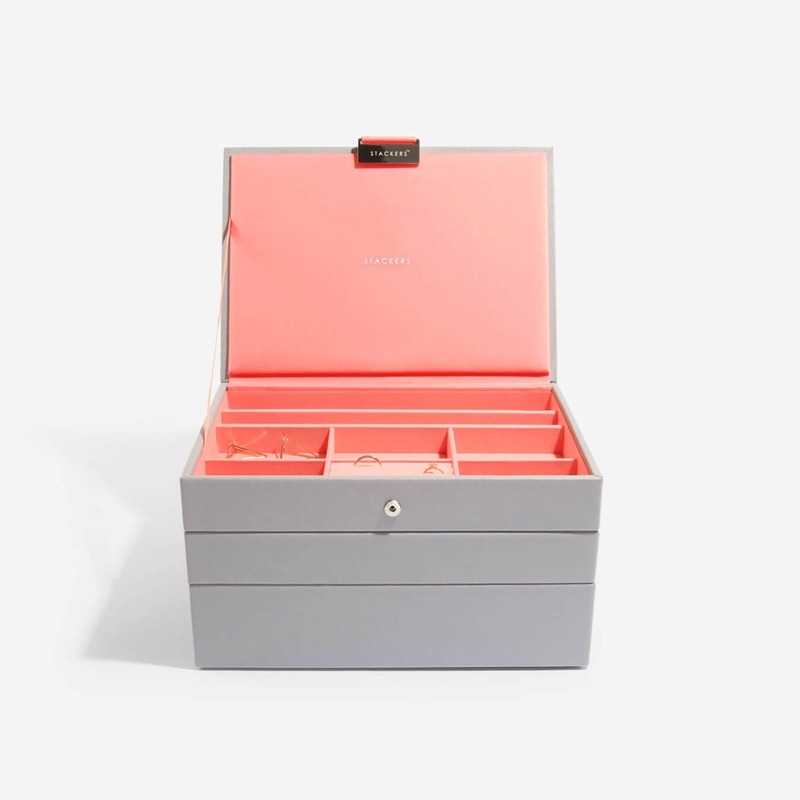 So, this includes all sizes of jewellery boxes, accessories, phone caddys and more. 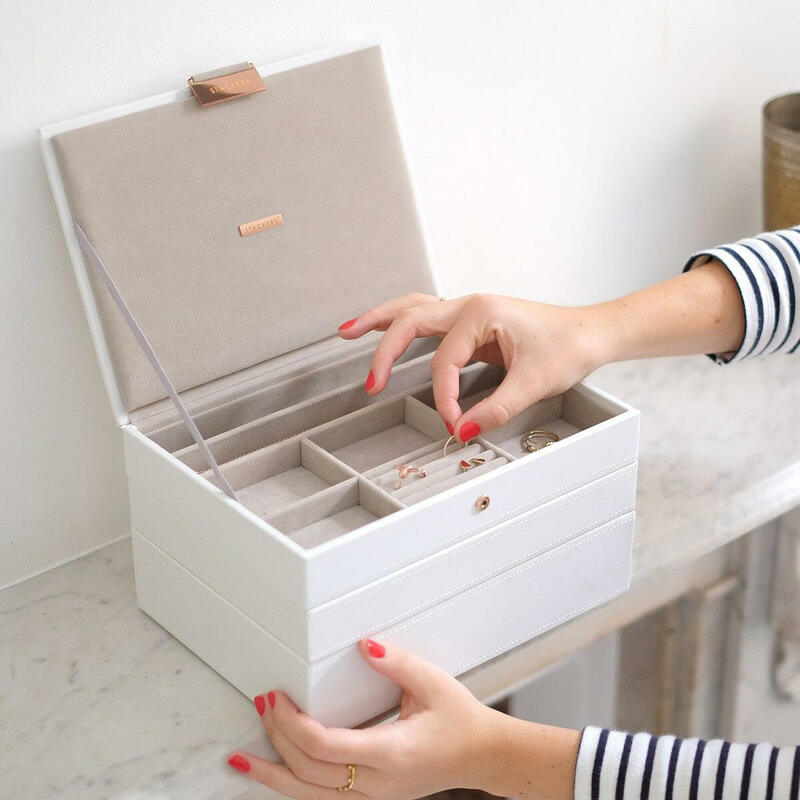 Secondly, if your mum is a little more subdued in her colour choices we are also giving you 15% off white and rose gold jewellery boxes. You can also add personalisation to these gifts for a little extra cost too, making it really special and personal. Pandora, Troll beads, Thomas Sabo, Chamilia if your mum is a big charm collector then this is the perfect gift for her. This specially designed layer can hold two bracelets and a huge amount of charms, if more space is needed she can always buy additional layers and all to her collection later! 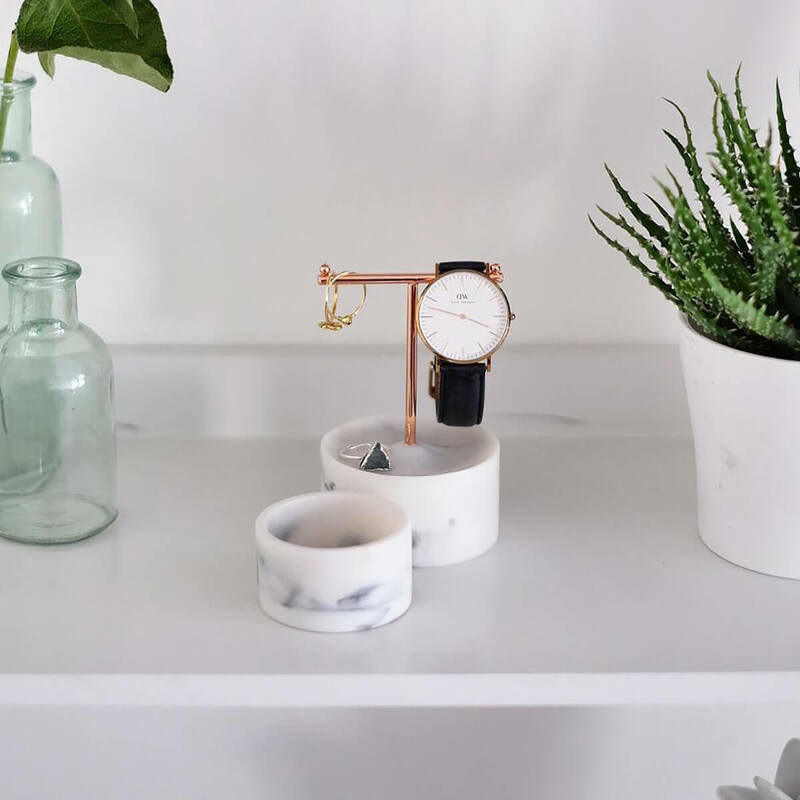 This little jewellery stand is such a sweet and pretty gift (plus it comes in a branded box, which is a dream when wrapping!) 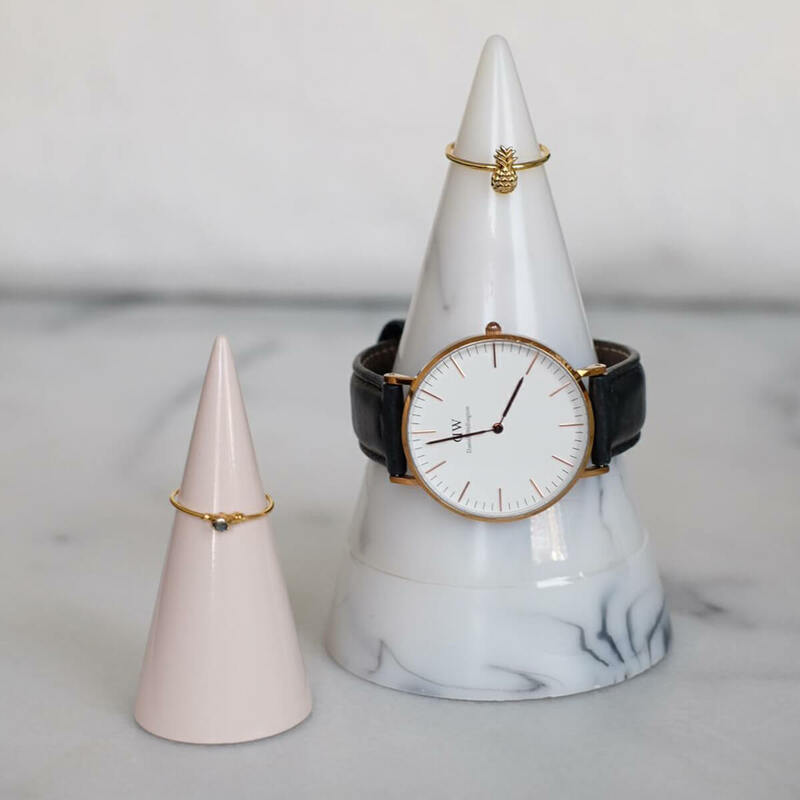 It will be great to pop on her bedside table, becoming a home for her daily jewellery for example her watch, rings, earrings. There is even a hidden section underneath for more smaller or precious pieces. 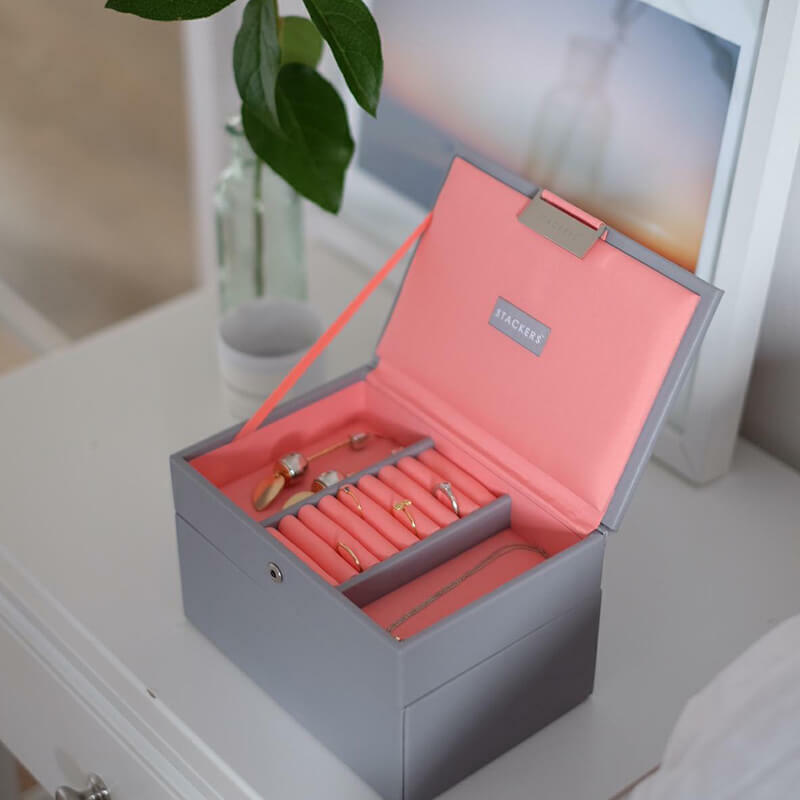 The cosmetic caddy is perfect for on a bedside table, or chest of drawers. 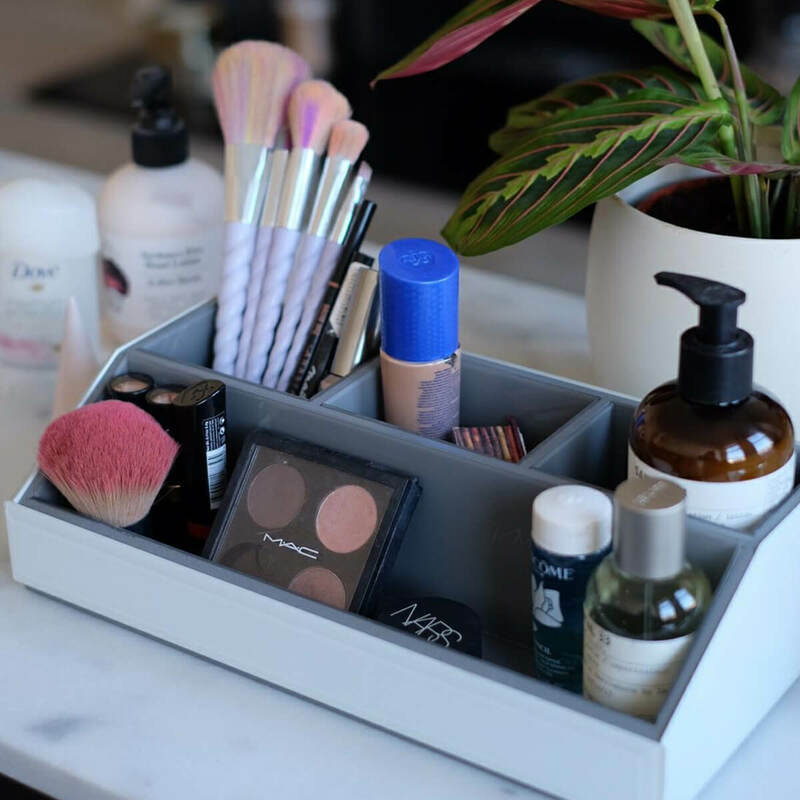 It will keep all her makeup together in one place, neat and easy to find. 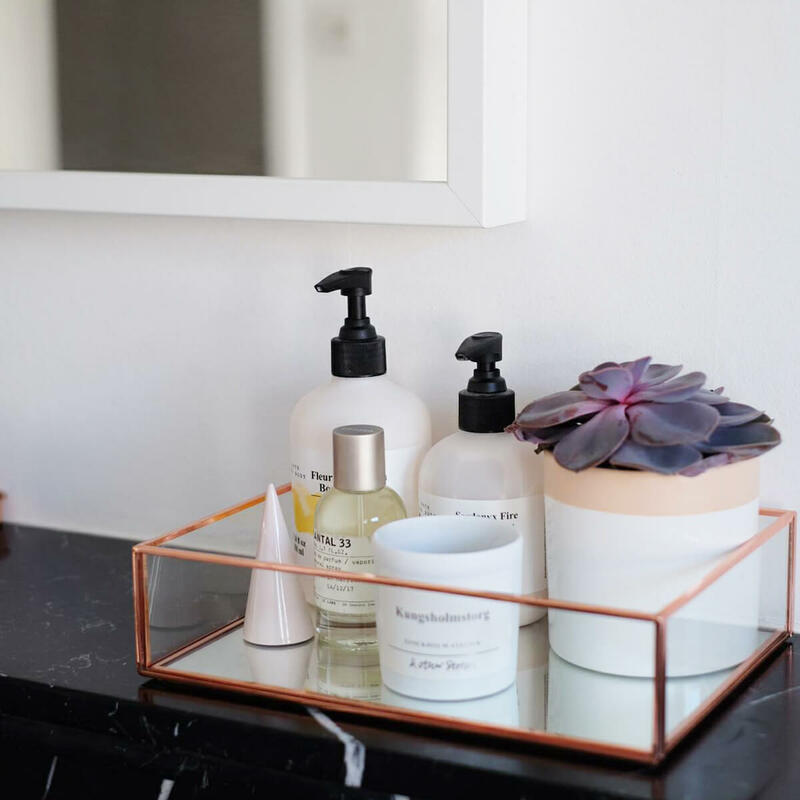 It is made from glass both inside and out so it make it super easy to wipe clean and is sleek and minimalist, sitting in most bedrooms seamlessly. 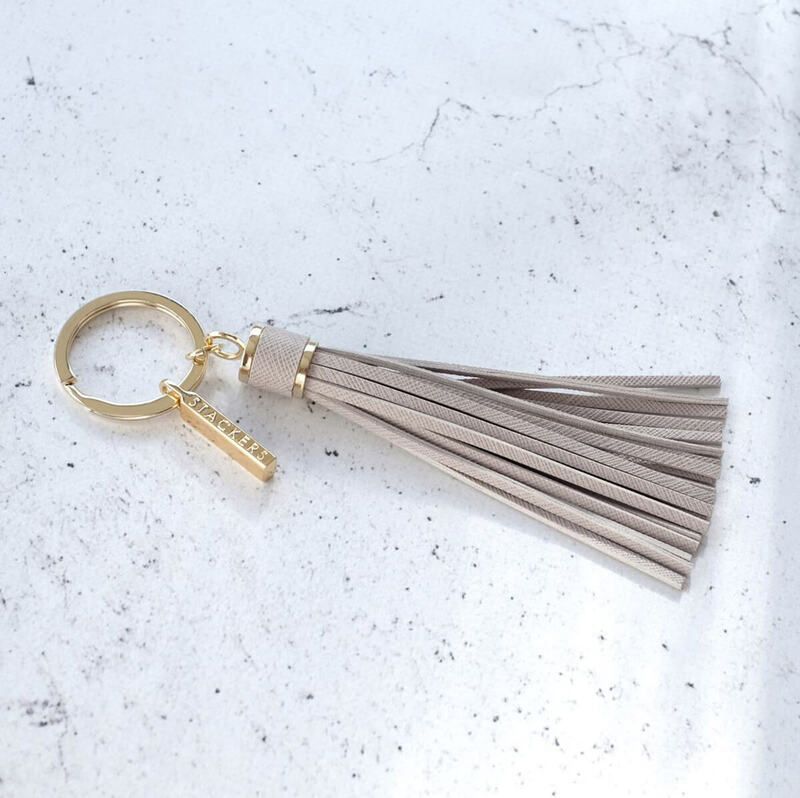 A small and beautiful gift, our keyrings are great on keys, but also as an added accessory for a handbag, the long tassle is super cute and can really change the look of an outfit. 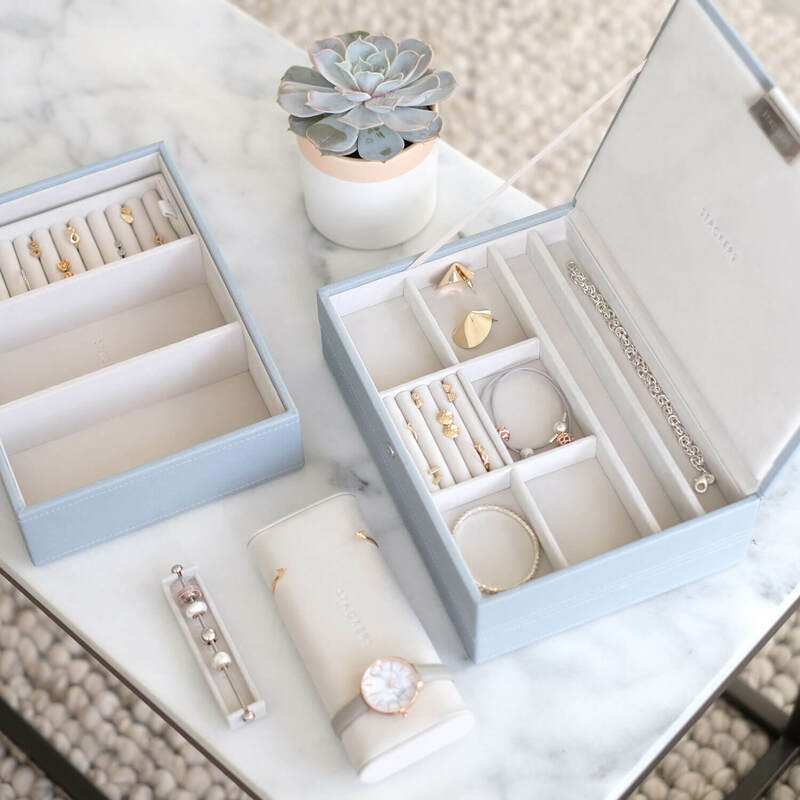 If your mum already has a Stackers jewellery box she may be looking for a new layer or some new accessories to help organise her jewellery further. We are continually adding new layers, the latest being our necklace layer, perfect for keeping chains tangle free. 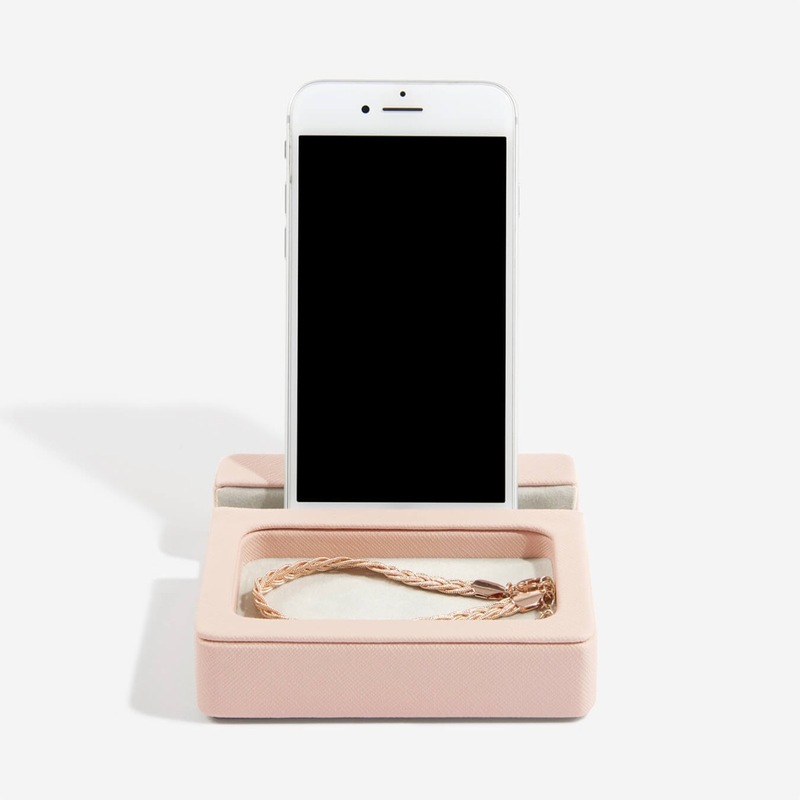 The phone stand comes in four colours, grey, blush, taupe and dusky blue. They are such versatile and handy pieces, for example, if your mum loved to cook or bake it holds up the phone with the recipe on plus she can pop her rings in the velvet front section so they don't get dirty. 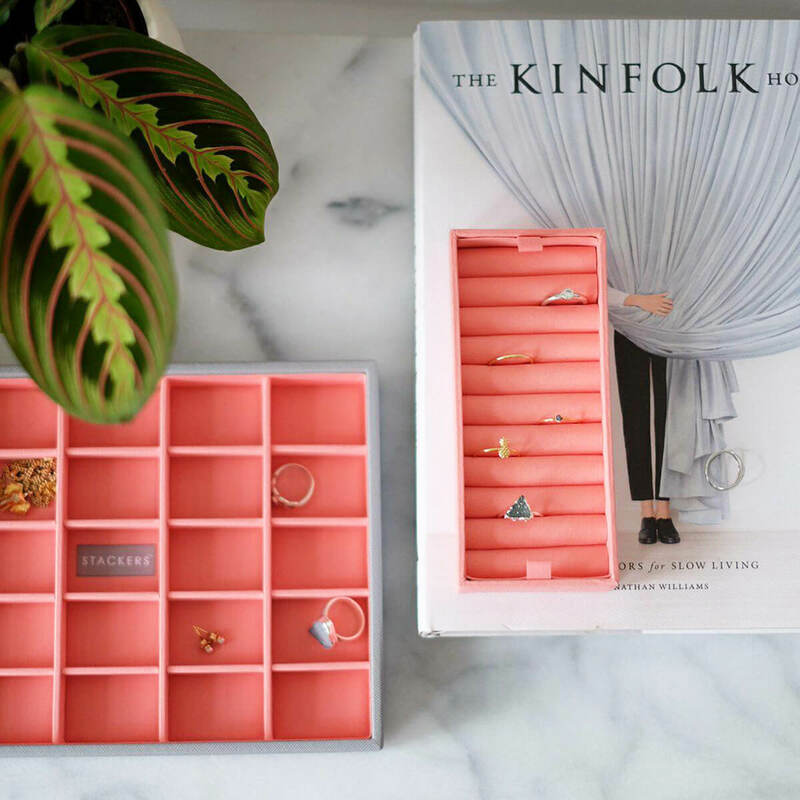 Our trinket trays a can be purchased with or without a lid, personally we are loving it without the moment and using it to hold all our daily essentials in one place, so our moisturisers, perfume etc. It gives the illusion that everything is organised and neat. 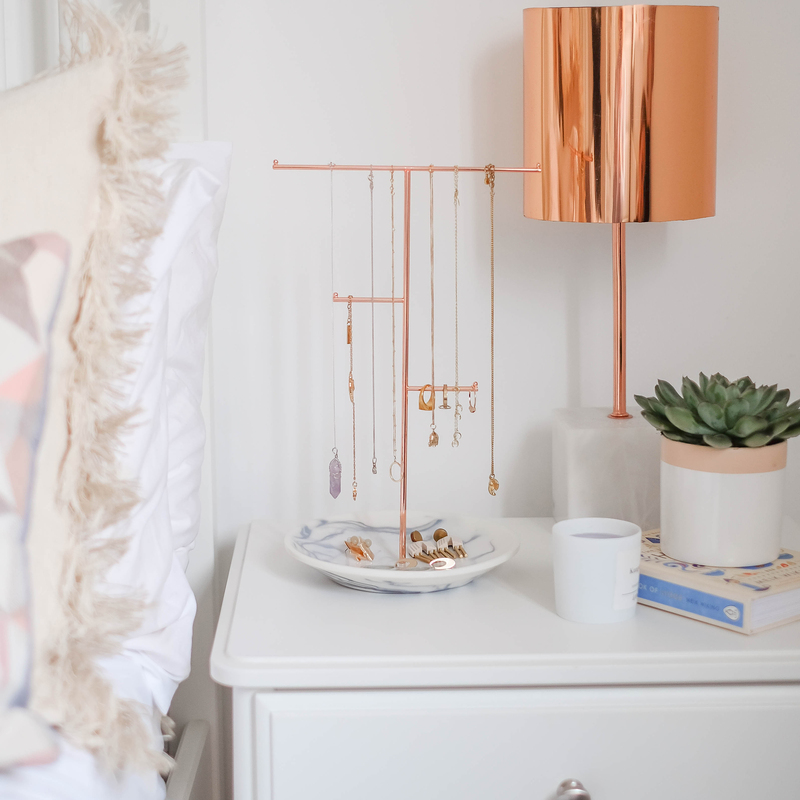 Staying on the theme of trinket storage, our houses are so cute, with three really pretty colours to choose from they make a great dumping ground for any loose change in your pockets from the day, spare keys, anything small that needs to be kept safe, this is the spot for it. 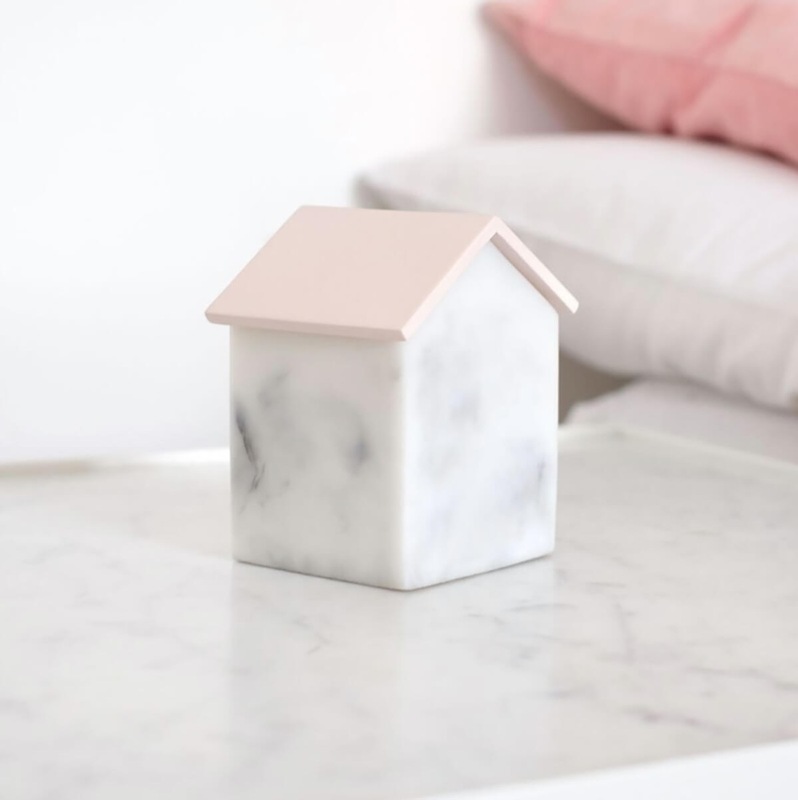 Finally, these geo boxes and peaks are great scattered around the home and are a great price point if you're on a budget. Next to the bath, in the kitchen when washing up, if your mum is having messy play with young children. 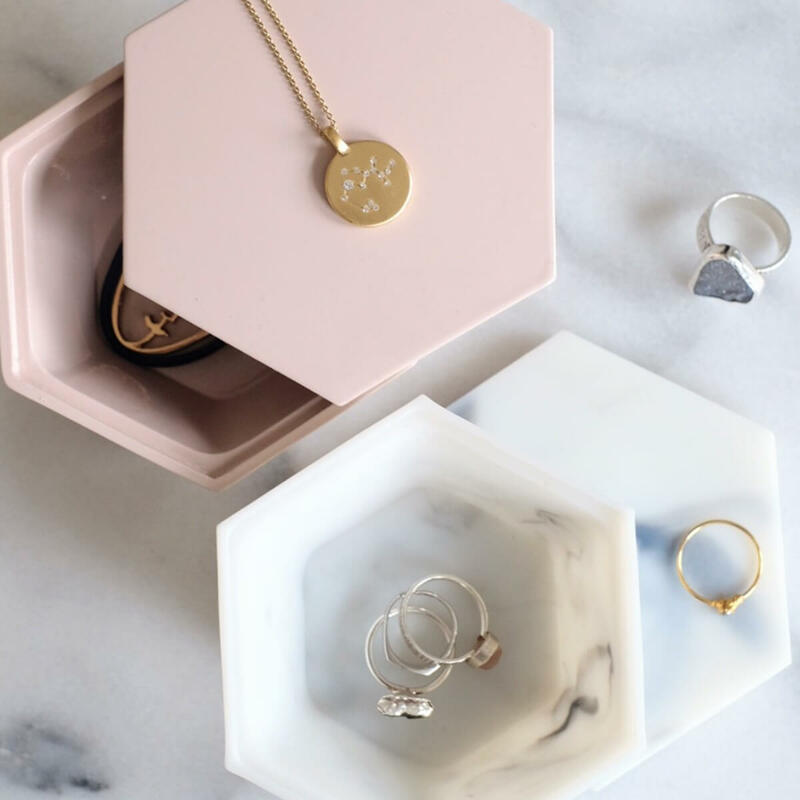 They really are a great and safe place to store jewellery during these activities. We hope this gave you some inspiration & have a beautiful Mother's Day, whoever you're spending it with.